Sometimes legitimate papers could end up in your spam folder; an amazing proposal could be lost! You will be notified by us when abstracts are posted to your CFP. That email will contain the contents of the abstract as well. The submitter will also receive an email confirming their submission. First, Submit Your Call for Papers here. Be sure to check the box on the top of the submit page to enable abstract collection. Once our reviewers approve your call for listing (we review only to prevent spam), you will be given a special public URL you can share. 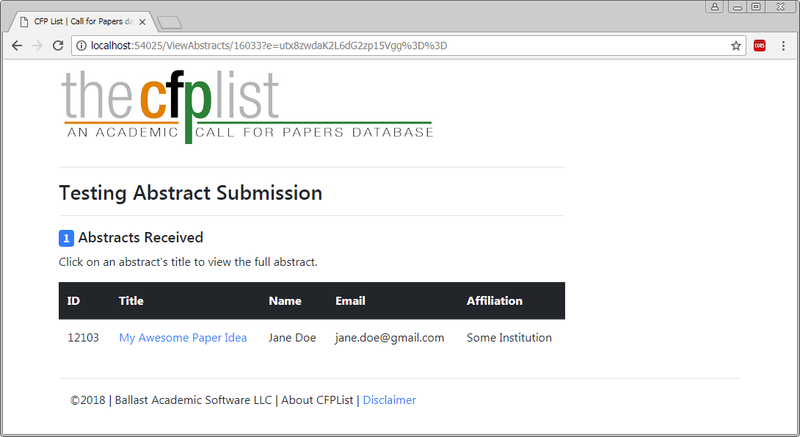 Whenever a user visits your public URL, they will see a green "Submit Abstract" button. The button is automatically hidden when the abstract deadline has past. Anyone interested in submitting a paper simply pastes in their paper, and fills out a few contact details. You will be notified by email whenever a paper comes in. 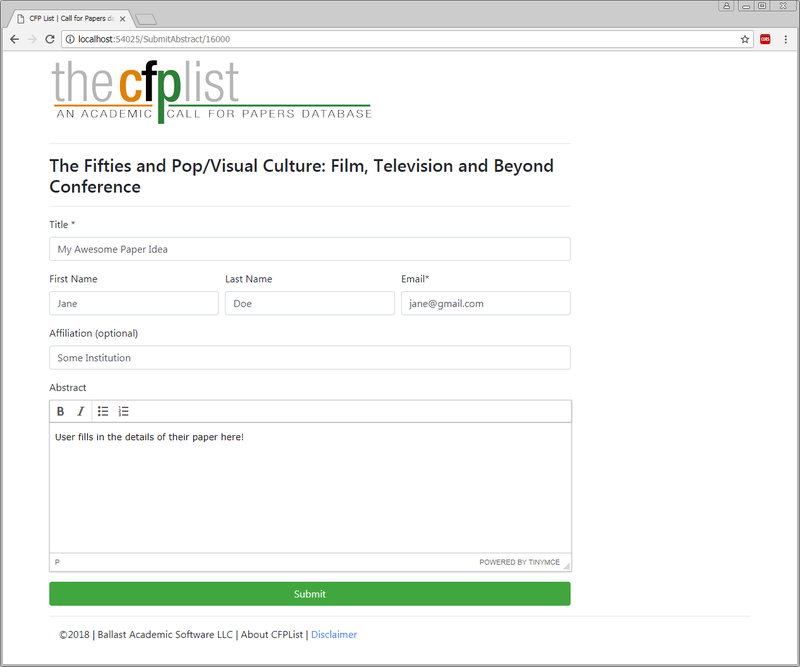 You can also view all the papers that have come in at anytime using your special private link for your CFP. 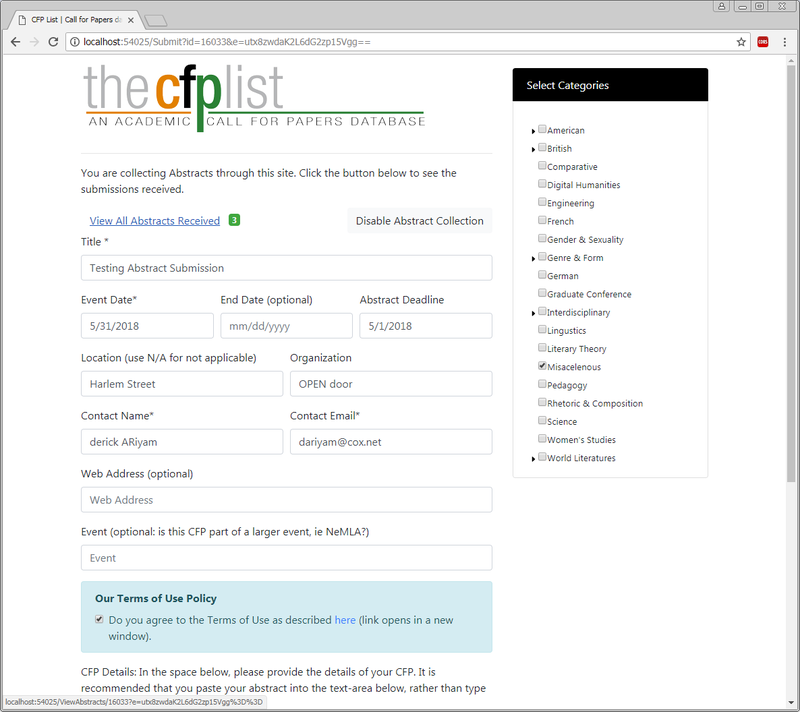 You received this link when your CFP was first approved.